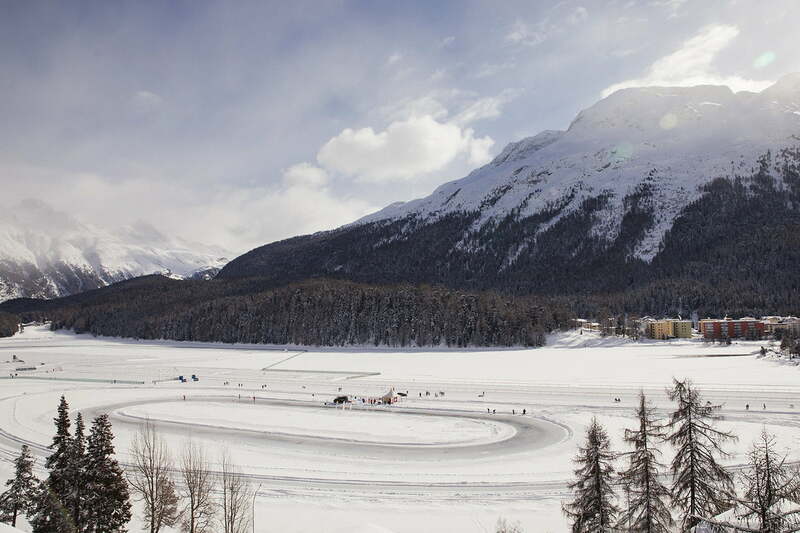 The Upper Engadin has a proud tradition of ice sports, from ice skating and ice hockey to curling and Bavarian curling. 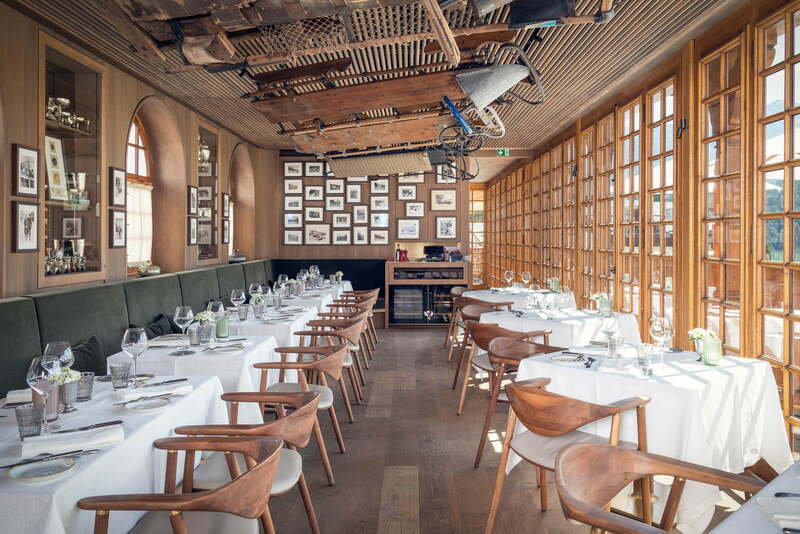 If you’re keen to get out on the ice, you won’t have to look far in Engadin. In the winter, every village and town has its own ice rink – and you can skate all year round at St. Moritz’s Eisarena Ludains ice rink. During the winter months, visitors can also practice their pirouettes or ice hockey skills on the town’s specially prepared natural ice rink. Those who prefer Bavarian curling should keep their Tuesdays and Thursdays free: this centuries’ old tradition comes to life twice a week at the ice rink. All you need for a game is a few ice stocks and an icy surface. In contrast, the St. Moritz Skating Club radiates genuine Olympic flair. 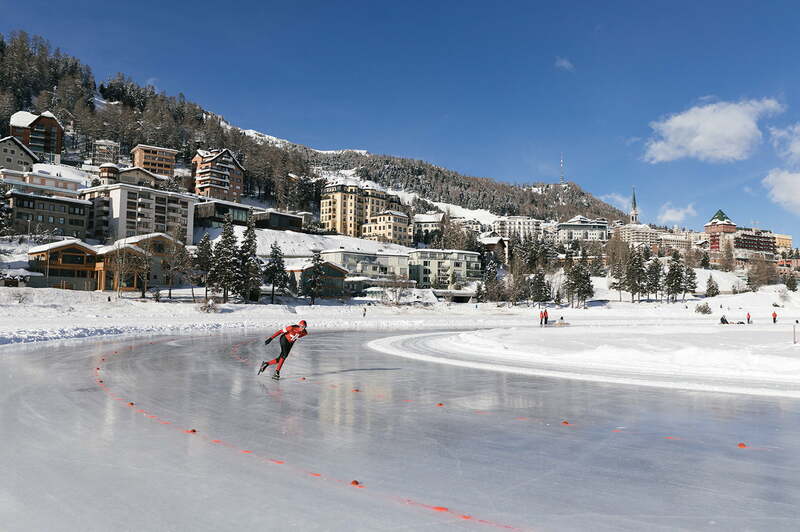 Visitors can glide across the perfectly groomed rink in front of the Kulm Country Club where the 1928 and 1948 Winter Olympic Games were held. For another very special experience, head to the natural ice rinks at Chesa al Parc, where you can go skating or try your hand at curling. If you want to brush up on your sweeping skills, you can book an individual or group curling lesson. Those more interested in thrill-seeking than sports shouldn’t miss out on the “fastest hiking trail in the world”. 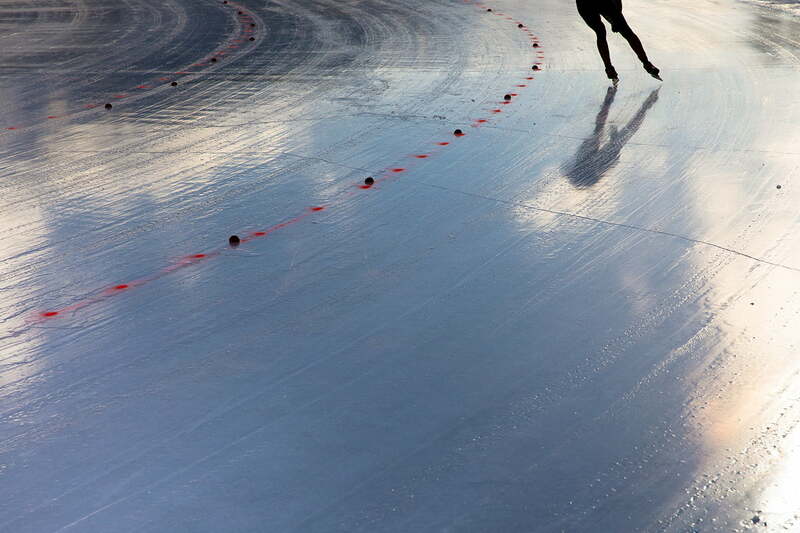 This long skating track known as the “skateline” provides an exciting alternative to skating in circles on a conventional rink. The Madulain skateline winds its way along the river bank, through the enchanting countryside. Given this fairytale location, it’s no wonder that many visitors describe the skateline as “the most beautiful ice skating track in the world”.